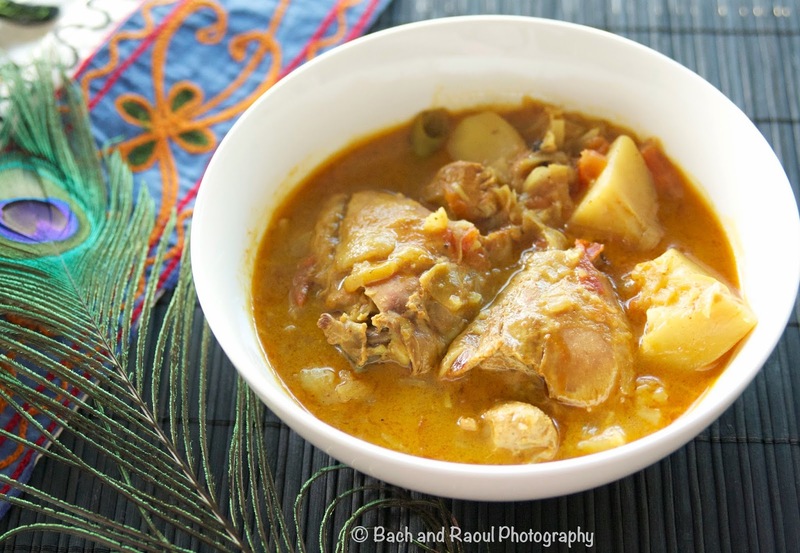 I am taking you back to my mom's kitchen today with her recipe for chicken curry. 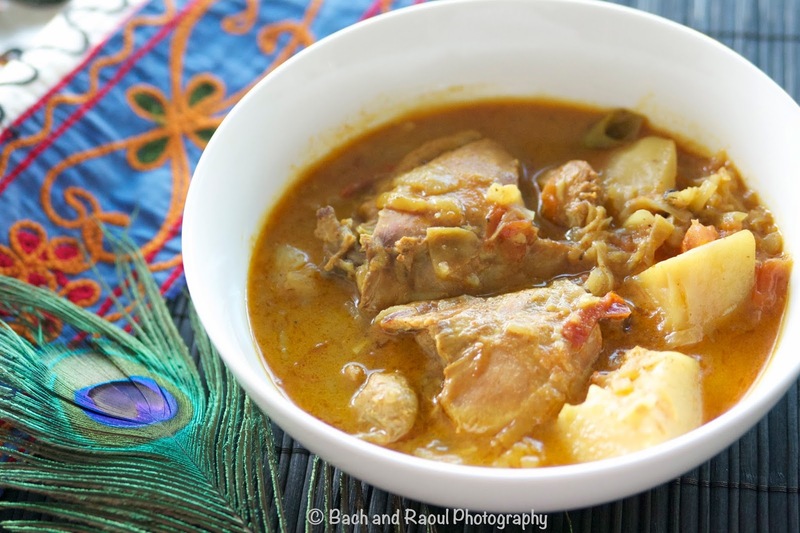 Technically, this dish should be called murgi'r jhol. 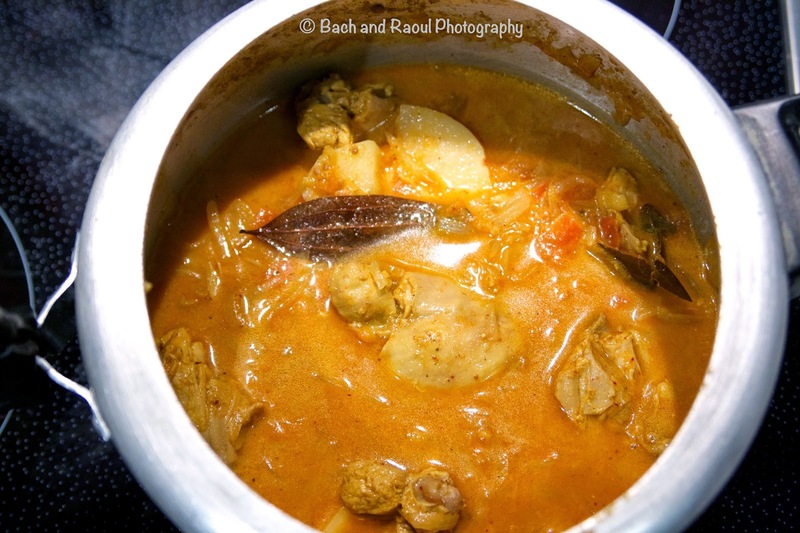 Mostly though, it is very simply referred to as "Murgi" or "Chicken". 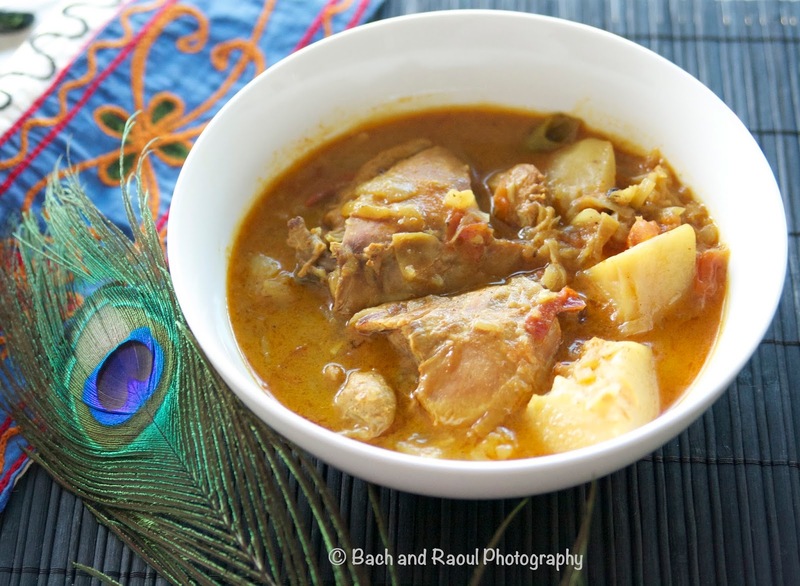 This is not the kind of chicken curry that you will find in "indian restaurants". This is the kind of curry that you will taste in a bengali home on a lazy sunday afternoon, served with rice and a refreshing cucumber - onion raita. 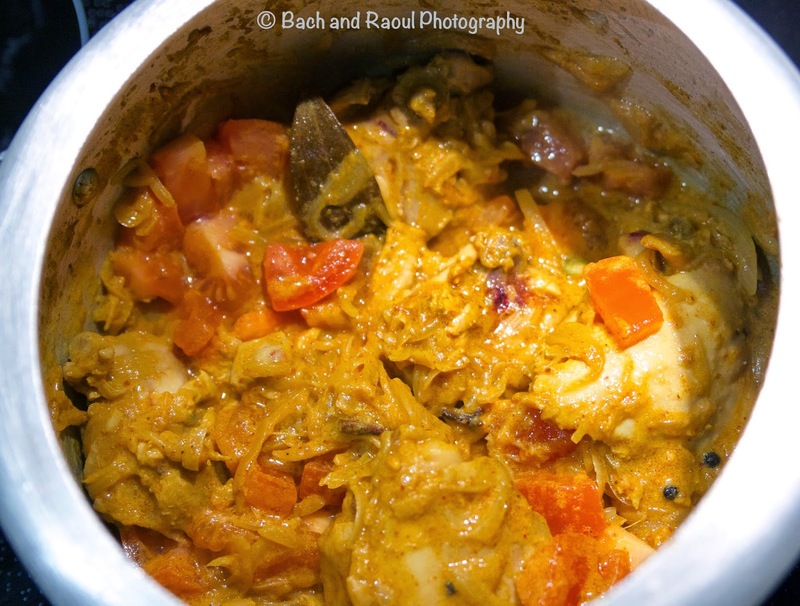 A curry around which memories are made. 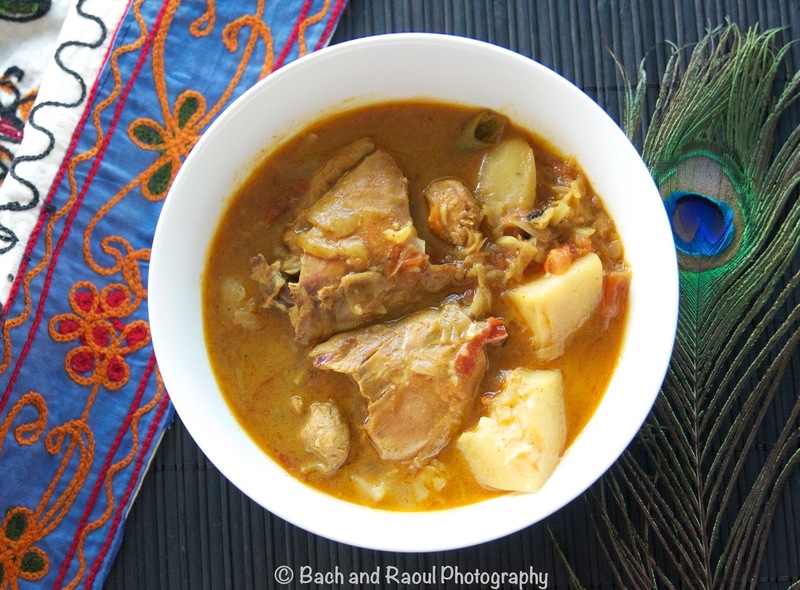 This curry needs love, attention and time. You want to cook it nice and slow. The more patience you have with it, the more you will enjoy it in the end. 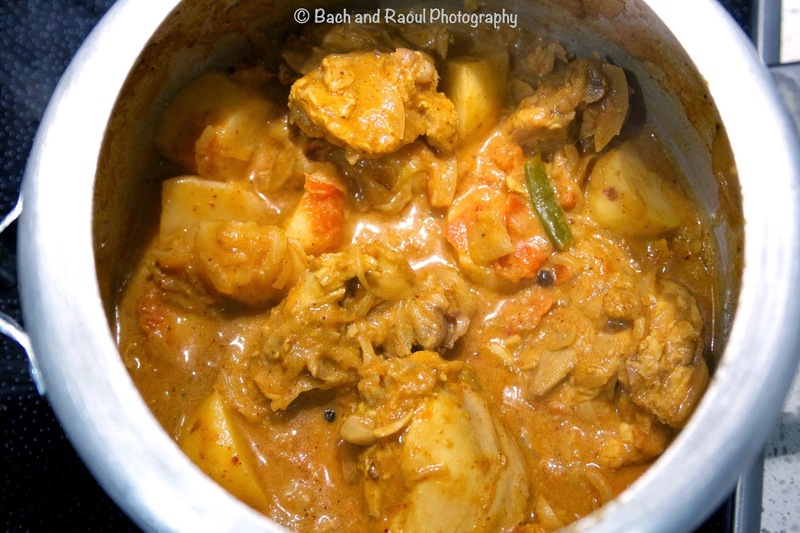 Pressure cooking this curry makes the chicken fall-off-the-bone tender. I use my trusty 10 year old Hawkins Pressure Cooker ! 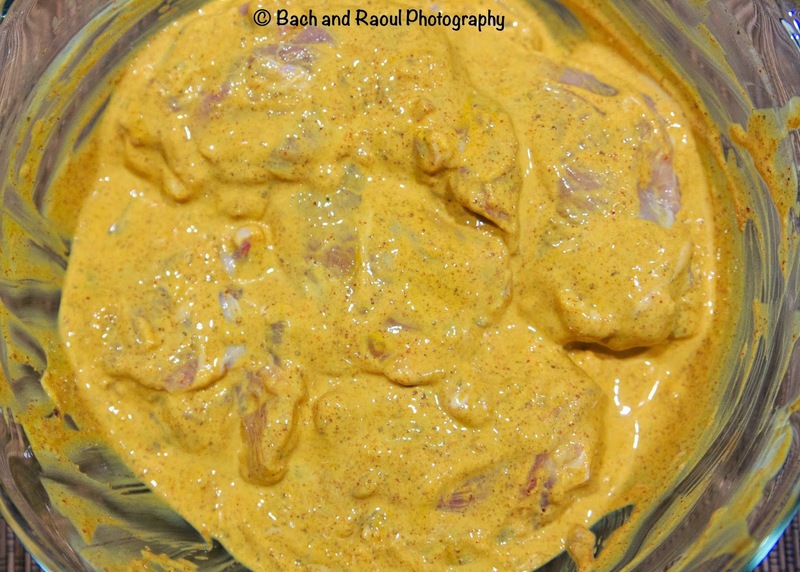 Put the chicken in a bowl, add the lemon juice, turmeric, chili powder, salt and 1 tsp garam masala powder. Let this marinate for a couple of hours; overnight if possible. 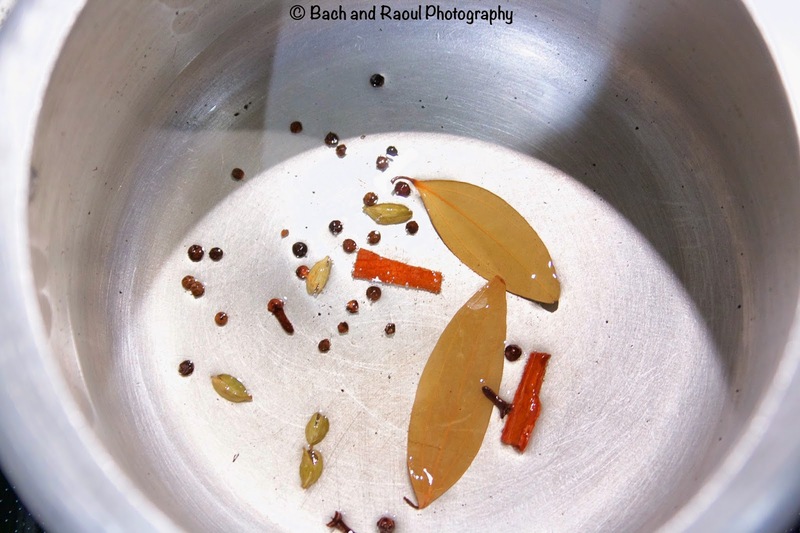 Heat oil in a pressure cooker (or a heavy bottomed pot) and add the bay leaves, black pepper, clove, cardamom, cinnamon. Add the onions. Let them cook a couple of minutes. Add the crushed ginger and garlic and cook for 5 minutes till the oil starts to separate. 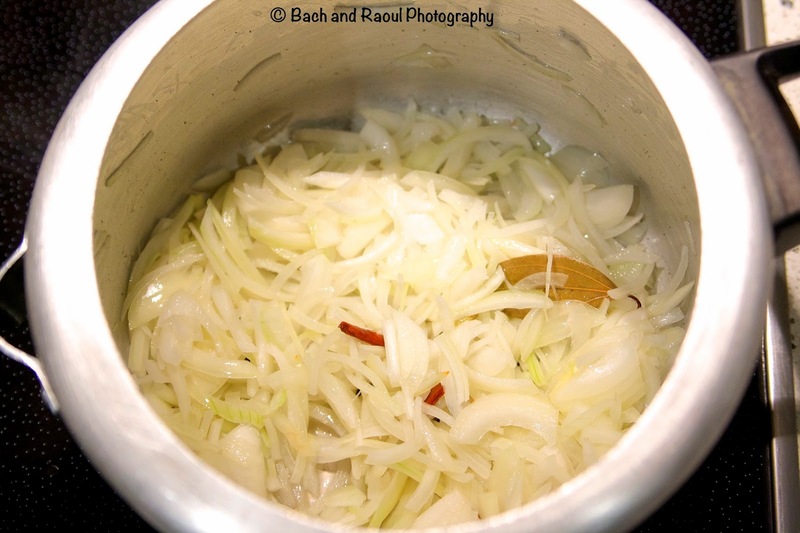 At this point, this cooked onion mixture will smell so good you'll probably want to dig in straight away, but I recommend moving on to the next step. 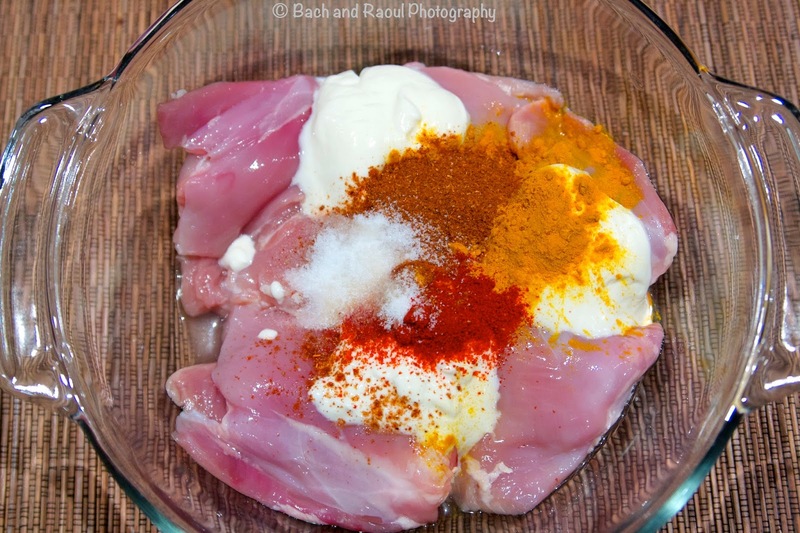 Add the marinated chicken. Put the lid on and cook on medium heat for about 10 minutes or a more, stirring occasionally. Add chopped tomatoes and green chili. 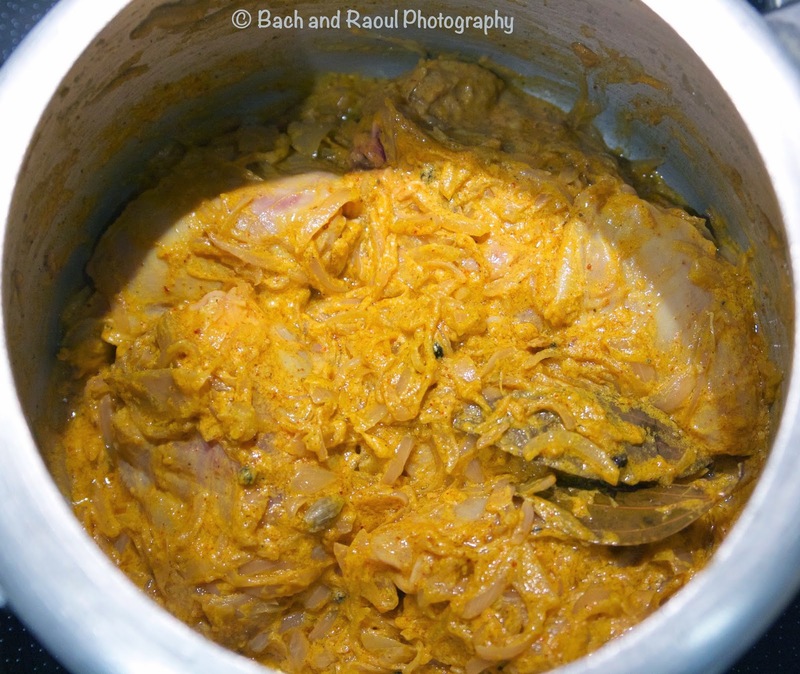 Add in the rest of the garam masala powder at this stage. Continue to cook for another 10 to 15 minutes on medium - low heat. Once the oil separates, cook for a further minute or so. Add a cup and a half of water and pressure cook it. About 15 Minutes. 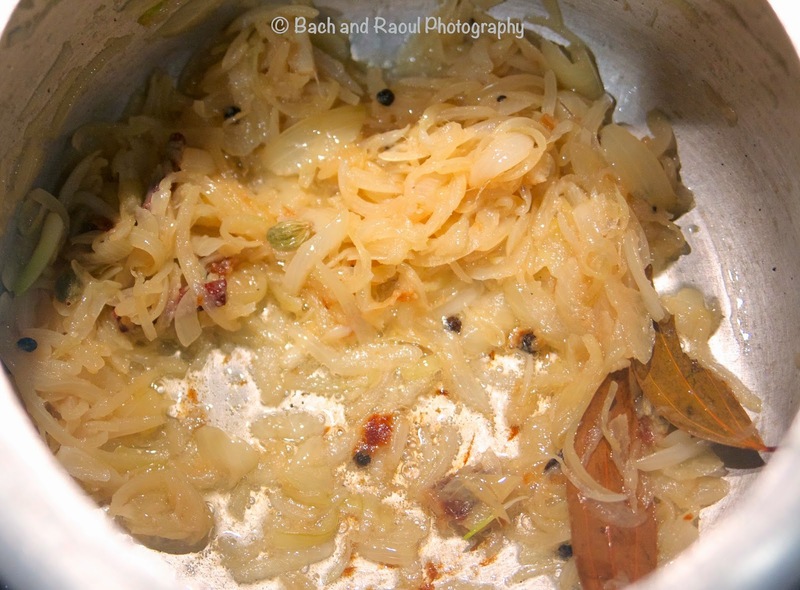 Serve with fragrant basmati rice and raita.